I normally don’t blog about competitions like this but my holiday was absolutely amazing and so I kinda wanna help someone else have an amazing holiday too. I came across this competition from Jet2.com and I thought it’d be fun! 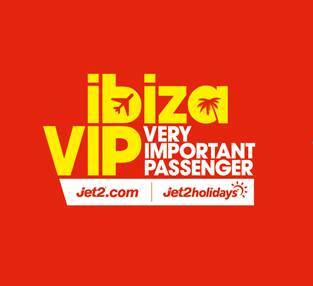 The prize is a VIP trip to Ibiza to this year’s closing parties, which is at the beginning of September. You and 3 friends get to stay at the party-legendary 5* Ushuaia Ibiza Beach Club for 7 nights and party all everywhere with a VIP pass! All you gotta do is upload a picture of you & your friends to Jet2.com’s Facebook Page showing the logo below (you don’t even need to print it, showing it on your mobile is fine – as long as it’s in the picture it counts!). The awesome thing is that you can submit as many pictures as you want, each counts as a new entry as long as you show the little picture above in the photo somehow! Good luck lovelies if you do enter! !